Released over a century ego in 1902, Blenheim Bouquet is one of Penhaligon’s staple fragrances. Although it began as a unisex scent, it has been since marketed for men and was even one of Winston Churchill’s favourites. Being fans of Penhaligon’s ourselves, we thought it was time to run one through our Fragrance Formula to see how it fared and whether it has stood the test of time. Following the success of Hammam Bouquet in 1872, a hommage to Orientalism, Penhaligon’s sought to create an ode to European fragrances. The result was Blenheim, a fragrance reminiscent of traditional eau de cologne. As mentioned above Blenheim Bouquet was a favourite of Winston Churchill. However, its family history extends further than that. It was originally inspired by Blenheim Palace in Oxfordshire where Churchill’s ancestors, the Dukes of Marlborough, were seated. Despite being 101 years old at the time of writing this review, Blenheim Bouquet has undergone a few reformulations. 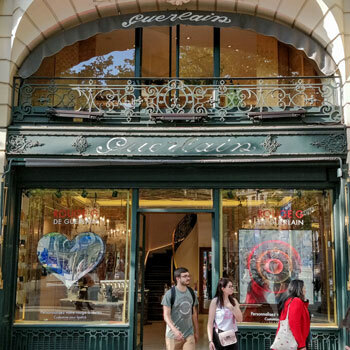 Nevertheless, the historical perfumer has stayed loyal to their original formula to provide you with an authentic experience. Download the Penhaligon’s Blenheim Bouquet Fragrance Formula as a PDF. Being very similar to traditional 18th-Century eau de cologne, Blenheim Bouquet is heavy on the citrus with a touch of lavender and light, powdery woody notes. Therefore, its closest olfactive family is aromatic citrus. Blenheim Bouquet first opens with a blast of citrus and not much else. Fresh lemons are accompanied by crisp lime and soft bergamot for a well-rounded and complex opening. As the citrus settles, the heart quickly emerges, which consists of some aromatic lavender and sharp pine. Both notes work well together and interact with the citrus aromas. After a short while, the wearer will begin to experience the musky base that is comprised of labdanum and cedarwood. Whilst the cedar is quite faint, it downplays the sharp pine and works well with the labdanum to create a subtle plant-based musk. As is with most traditional eau de cologne, Blenheim Bouquet cycles extremely quickly through its notes. Rather than being a linear experience where each of the notes express themselves separately, they work together in a symphony of aromas. However, this also plays a role in its very short longevity. Again, it resembles an eau de cologne in the ways of performance and will only give you a few hours of enjoyment before fading away completely. Whilst it does provide a tangible scent, Blenheim Bouquet performs reasonably well and gives an average albeit tight projection with a respectable sillage. What Do People Think Of Blenheim Bouquet? Whilst no-one finds Blenheim Bouquet offensive to the senses, it did receive more negative comments that I’d like to admit. Quite a number of those who tested the fragrance found it to be dated in that it was too dry, which felt musty and dusty. Furthermore, the pine in some formulations comes across as too strong for others who feel that it smells like floor cleaner or furniture polish. Meanwhile, some people likened the citrus to throat lozenges. However, the feedback received was exclusively negative. In fact, Blenheim Bouquet is one of Penhaligon’s most popular fragrances and for good reason. Many people are smitten by this fragrance, which has earned it a firm and loyal following. Those that enjoy it love the burst of citrus set against powdery woody notes but few picked up on the lavender. Additionally, testers already familiar with fragrances thoroughly enjoyed its similarity with eau de cologne. Nevertheless, those that did pick out this parallel often preferred Blenheim Bouquet over eau de cologne as it feels like a fresher and more uplifting take on the softer iterations such as 4711. Firstly, the seasonality of this fragrance leans towards the hotter months. Being a refreshing and zesty fragrance, it’s perfect for cooling down on a hot day. Given its lush and aromatic composition, it complements the springtime very nicely and can be worn until the early autumn. However, you can also integrate it into your grooming regimen like a traditional eau de cologne. Personally, I am very fond of a spritz behind each ear for a refreshing touch after a shower and shave. It feels like a wonderful complement when in a dressing gown before putting on my main fragrance when dressed. That said, this is a very mature fragrance, which won’t suit everyone. Being something that many suggest is vintage or even outdated, it may work better on men that are in their forties or above. Nevertheless, I’m still in my late twenties and thoroughly enjoy it so it can be worn when younger as long as you have the attitude to go with it. Otherwise, Blenheim Bouquet is very much a daytime fragrance that can either be worn casually for a touch of subtle elegance. However, it can also be worn for the office as it isn’t particularly overbearing for tight spaces. Finally, it’s not a particularly masculine fragrance. In fact, it was originally a unisex fragrance that is even enjoyed by women to this day. However, recent reformulations have focused on adding a touch of musk to make it more appealing to the modern man. Blenheim Bouquet is presented in the classic Penhaligon’s flacon that is cylindrical in shape with an acrylic cap. This cap features a small bow, which can sometimes become detached and may need gluing back on. Meanwhile, the bottle is adorned by a vintage label with old-fashioned grey text as well as the royal warrants that are proudly displayed at the top. As for the atomiser, it performs very well and creates a thick mist, which isn’t too concentrated in the centre. Therefore, it can be sprayed a little closer than your average cologne. Finally, the packaging is a reflection of the bottle itself with a fleur-de-lys motif and golden stripes. Overall, it’s very elegant and is wonderfully presented. However, the version I own was originally a gift set that Paul Anthony gave me a few months ago. The box is stunning with a faux-wood design and motif representing a soldier’s tunic, which comes with a shaving cream and post-shave balm. As for value for money, know that Blenheim Bouquet is renowned for being very expensive. In-store, their flacons can cost well above $100 even for only 75ml. However, as much as 100ml can be found on Amazon for less than $70! Being a fragrance that’s quite fleeting, it makes for a rather expensive scent. Nevertheless, if you truly enjoy it and want a bit of history, it may be well worth the extra cost. Whilst some may consider it a little dated, Blenheim Bouquet is a wonderfully refreshing fragrance, which packs quite a punch under the searing sun. Furthermore, its story is bristling with history and represents a significant development in men’s fragrances. Also, we can’t overlook that it was Winston Churchill’s favourite, which is certainly a seal of approval! 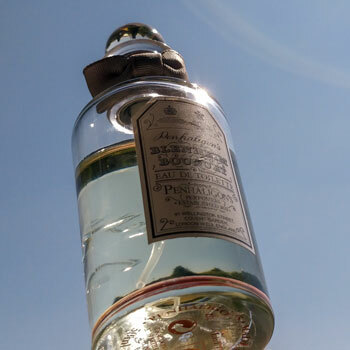 If you’re looking for something light a fresh for the summer months, we highly recommend that you at least try this unique scent from Penhaligon’s. "A refreshing & old-fashioned cologne. Some could argue that it's a little dated, but Blenheim Bouquet is a wonderfully refreshing fragrance that's reminiscent of the finest traditional eau de cologne." Thanks for your comment and glad you agree with the points on the review!